Grocery store in Yomitan Village, Okinawa, where Keiko Matsuda does some of her shopping. (Supporting image from the project Hungry Planet: What the World Eats.) The Matsuda family of Yomitan Village, Okinawa, is one of the thirty families featured, with a weeks' worth of food, in the book Hungry Planet: What the World Eats. 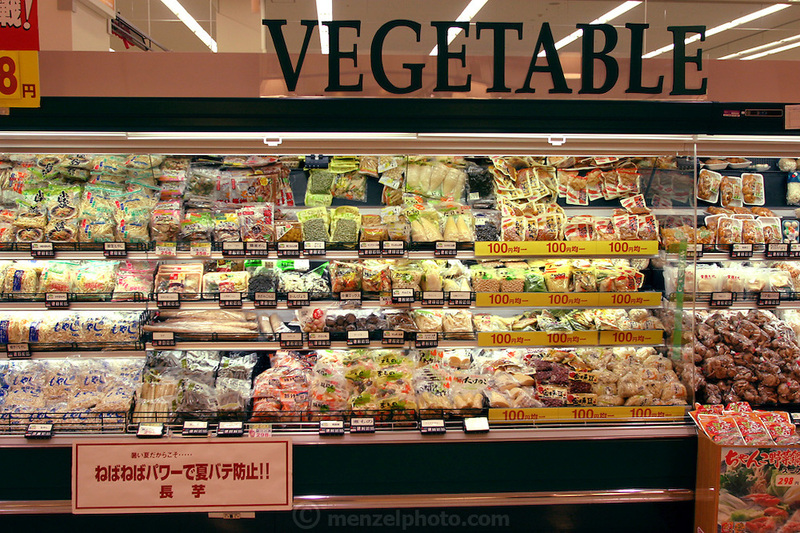 Hara hachi bu: "eat only until 80 percent full," say older Okinawans. The island has been the focus in recent years of researchers trying to discover why a disproportionately large number of Okinawans are living to age 100 or more.